N296SW E120 Keflavik to Rotterdam. N73AD CJ Iqaluit to Reykavjik then Stansted today. N278BY B200 Keflavik to Wick then Farnborough. A fair few eastbound today. A Rare pond crosser Nowadays is Piper PA42 N75LS which starts the crossing to Iceland. The Cessna 208 continues east and the Twotter follows suit. N823SA Cessna 208 Goose Bay to Narsarsuaq then Reykavjik. N194KQ Kodiak Iqaluit to Reykavjik. 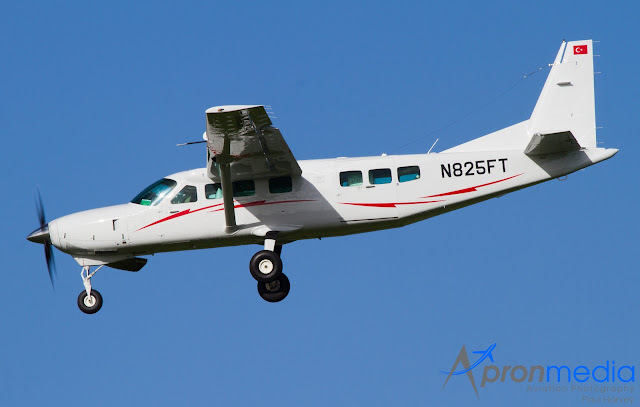 N161VP Cessna 206 Blackpool to Avignon. N380SK E145 Reykavjik to Brussels. C-GHGF DC3 Iqaluit to Kelflavik. 19th March 2017 Todays Movers. F-HENE Honda Jet Reykavjik to Wick then Strasbourg. D-CAST Phenom Goose Bay to Keflavik then Hamburg. N150RL Beech 200 Goose Bay to Narsarsuaq. N70DE Cirrus SR22 Iqaluit to Sondre Stromfjord.